The ‘Positive List’ is nothing but a scheme which allows a person to take up a job after the issuance of a work permit if he/she has been offered a job in a profession which is present in a list of professions. This list of professions is usually drawn up by the Denmark authorities, based on the criterion of shortage of skilled personnel in their country. And, it is also true that the scheme applies to asylum holders, too. But, those have a residence permit on the grounds of family reunification scheme or asylum petition, or possess a residence permit on humanitarian grounds do not require a work permit to work. Literally speaking, a Denmark positive list consists of a number of professions which are experiencing a skills shortage at any point of time. The conditions that must be met by an applicant seeking a work permit based on this ‘Positive List’ criterion are that the job/position offered to the applicant must be one which is listed in the ‘skills list’. Furthermore, the salary offered and the employment conditions must be similar to or correspond to those listed in the ‘positive list’. The standards and conditions must also correspond to the Danish standards. Also, as for as the minimum educational qualifications are concerned, the minimum required educational qualification is a Bachelor’s degree. In a few cases, some degrees require additional scrutiny and authorization of the authorities and thus for such educational qualifications, such specific and special authorization has to be obtained from the concerned authorities. One simple and obvious example, is the case of a educational degree for doctors. 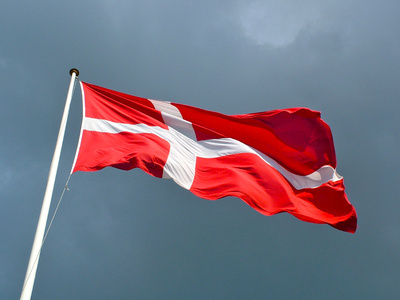 For doctors to begin work in Denmark, they must get approval and be authorized by Danish Health and Medicines Authority. Similar to the medical profession, there are other professions too, which need explicit approval of Denmark’s authorities and these professions include ‘actuary’, ‘audiometry and hearing and aid fitting’, ‘certified pyrotechnician’, ‘certified structural engineer’, ‘dental surgeon’, ‘nurse’, ‘real estate agent’, ‘veterinary technician’, etc. Also, if the applicant can make a declaration that he/she can support himself/herself and his/her family for one month prior to his/her joining in the job, he/she would be granted the residence permit for that additional month too. And, the residence permit’s validity is dependent upon the length of the job contract. If the job contract is valid indefinitely, the residence permit is usually valid for 4 years. And, it can be extended provided that the applicant is still in the same job, on the same terms, even if the job title is no longer on the ‘Positive List’. Also, if the applicant loses his/her job and/but he/she is not responsible for the loss of his /her job, then, he/she can get a residence permit for six months more, to search for a new job. In this case, the applicant can apply for a work and residence permit for seeking a new job at least two days after the expiration of the job contract. But, the applicant is allowed to start work on the new job even before the grant of the new work and residence permit, provided that he/she has applied for a new residence and work permit at least within a day of joining the new job.